?Out of Sight Out of Mind? 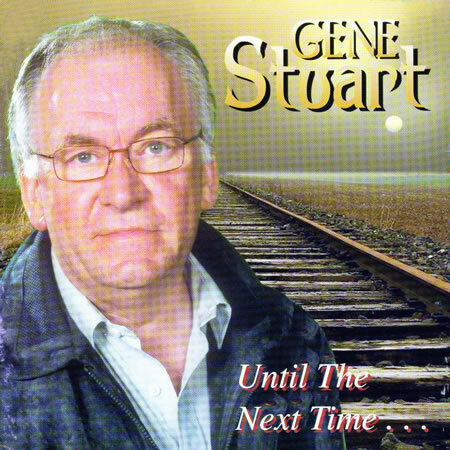 is one of the tracks on the latest CD from Gene Stuart and you certainly can?t expect a country legend like him to fade into obscurity without questions being asked by the music public. Gene decided to quit the dance circuit a number of years ago opting for an easier softer life but such has been the popular demand for his songs on radio stations up and down the country that he decided to come out of ?retirement? so to speak and record a mixture of old and new material. The fact that Gene has recorded two albums in eighteen months, has come about through persistent callings from radio presenters who are continually updating their library and reviewing current stock. In recent times Gene has been confining his public performances to charity events and special appearances but his recordings are still being aired on a daily basis layally requested by dedicated fans who never tire listening to his unmistakeable voice and velvety tones. This latest release from Gene ?Until The Next Time? features some of the songs that will be forever linked to his rise to stardom as well as an equal collection of new songs. Twelve years ago Gene Stuart recorded one of Irelands best selling CDs ?Down Memory Lane? a compilation of his earlier hits, and new recordings, an album that is still marketing steadily many years down the line and which no doubt helped to coax him back into the recording studio. He is currently working on a new DVD to add his five video collection, and has been asked to go back on the road for a series of short tours. In the words of the big man himself ?The jury?s still out? or is it the start of ?Honky Tonk season? another one of many great tracks which Stuart has wrapped his inimitable style around.